Get optimal lighting in your stills and HD videos with this advanced yet easy to use i-TTL Speedlight and LED video light in one. With simple controls—just a few buttons—a compact design and AA battery power, it delivers a powerful, wide flash (24mm coverage in FX-format, 16mm in DX-format) and a a high-intensity LED light (approx. 100 lux) for uniform, even illumination. 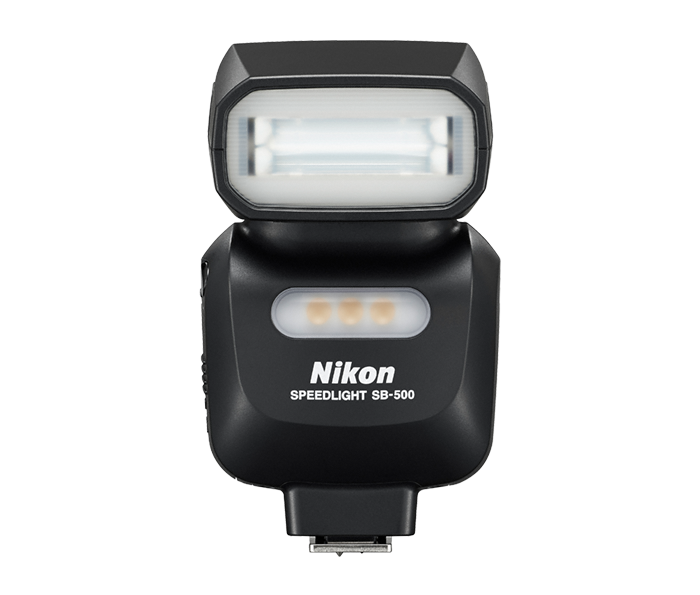 Its head rotates 180° left and right and tilts 90° upward for bouncing light off nearby surfaces, and it uses Nikon's i-TTL technology to tailor the light to each shot. It can be used on a camera's hotshoe alone or as a master for other Nikon Speedlights (when attached to the D810 or the D750), or it can be used wirelessly off-camera to illuminate subjects from interesting angles or working together with additional Speedlights.